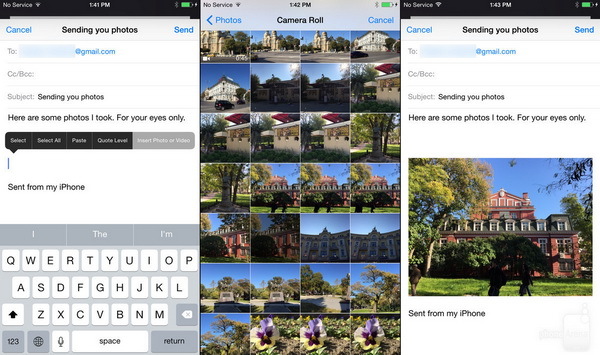 It would be easy and quick to send photos from one iOS device to another. However, to transfer photos from iPhone to Samsung devices would take a few more steps. Many people who switch from iPhone to Samsung smartphone might get puzzled on how to transfer photos from iPhone to Samsung. Actually, this is not that hard. There are various methods, aka iPhone to Samsung photo transfer tools, to help transfer pictures from iPhone to Samsung. In this guide, we would like to introduce you 4 ways on how to transfer photos from iPhone to Samsung. Open your email application and login with your own email account. Create a new mail and make yourself as the receiver with other email accounts. Or you simply don’t set any receiver and save the new mail as draft. Add photos as attachments to your new mail. You could add as many as you can (upon the limit of the email server). Send your new mail or save as draft. On your Samsung smartphones, log in with the target email account to receive photos or with the same email account to view the photos in the draft box. Unfortunately, there’s a number of limitations to this method, and one of them is that there’s a limit to how much data you can send. Apple’s email service has a 20MB attachment limit, while Gmail lets you attach no more than 25MB per email. These limitations can be bypassed using a cloud service, but more on that in a bit. The key point for you to transfer photos from iPhone to Samsung is to firstly transfer photos from iPhone to computer. And for this we know that Windows Explorer, or the AutoPlay feature, could be a wonderful choice. You could make use of this tool to export photos and videos from iPhone to computer within clicks. The below steps would show you how to do this. Open "My Computer" and then you could see your iPhone icon as a removable disc. Right click your iPhone. 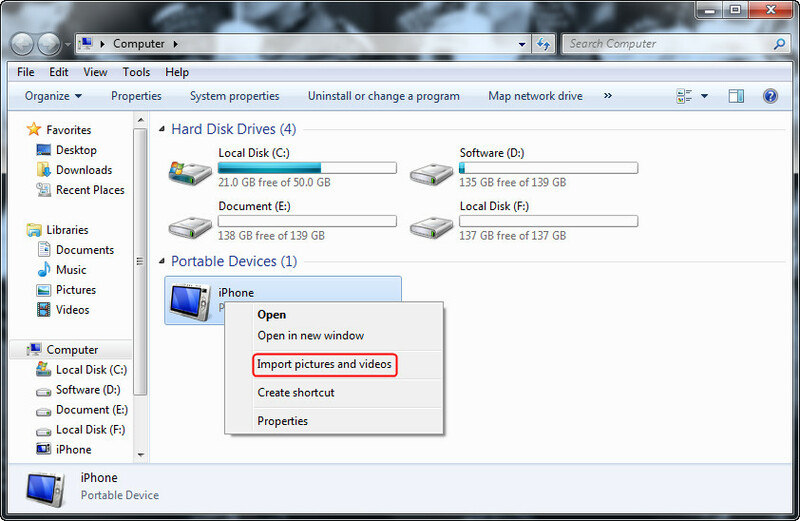 From the popup menu that appears, select "Import pictures and videos". Then, on the next popup window, choose what you want to do: Import all new items, or Review, organize, and group items to import. By default, your images will be transferred to your computer’s "My Pictures" folder. Connect your Samsung device to computer via USB cable. Copy the photos from "My Pictures" folder and paste to your Samsung device. Actually, you could also double click the iPhone icon to see a "Internal Storage" disc drive and then open it to see a "DCIM" folder, where stores all photos and videos on your iPhone. Therefore you could directly move photos from iPhone to Samsung via copy-and-paste. We all know that all photos on iPhone could be automatically synced to iCloud if we open the iCloud photo sharing option on iPhone. Therefore, to transfer photos from iPhone to Samsung, we could also make it by downloading photos from iCloud and then transferring to Samsung device. The below steps would show you how to transfer photos from iPhone to Samsung via iCloud. 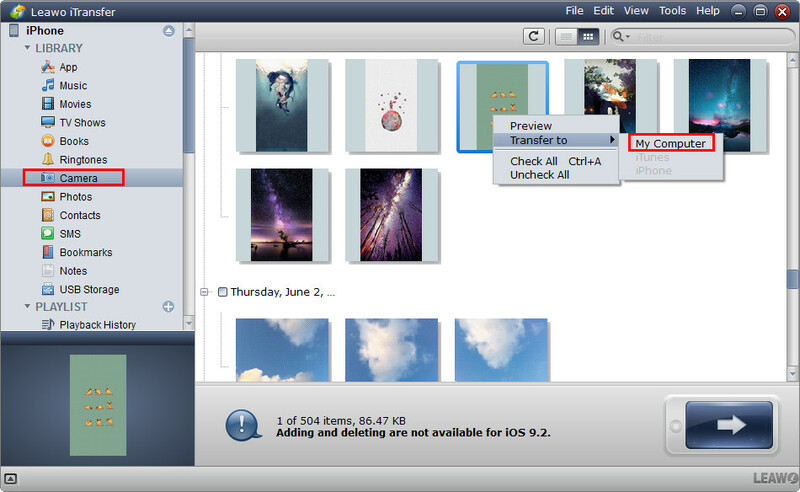 Firstly, you need to enable iCloud photo sharing on your iPhone. Open "Settings > (your Apple ID name) > iCloud > Photos" successively. Enable iCloud Photo Library and iCloud Photo Sharing. Connect your iPhone to a WiFi network to enable auto-sync between your iCloud and iPhone. And Connect your Samsung device to computer via USB cable. Log in iCloud.com with the same Apple ID as that on your iPhone. Select photos you want to transfer from iPhone to Samsung and then click the download icon on iCloud Photos tab. Next you could directly set the Samsung device as output directory for downloading photos from iCloud.com. Now, you’ve completed iPhoe photo to Samsung transferring process. In fact, if you’ve iCloud for Windows downloaded on your computer, you could launch it and then directly click the "Download Photos" option on it to download photos from iCloud to Samsung, though in this way you can’t select what to transfer. Besides the above 3 methods, there are still a popular solution to help you transfer photos from iPhone to Samsung. 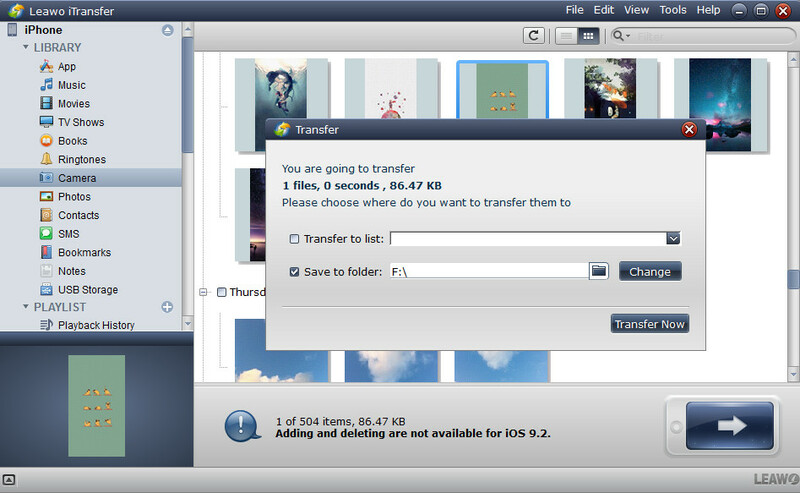 That’s to make use of 3rd-party iPhone to Samsung photo transfer software like Leawo iTransfer, a professional iOS data transfer software program that could transfer up to 14 types of data and files between iOS devices (iPhone, iPad and iPod), computer and iTunes. With this iPhone to Samsung photo transfer software, you could easily transfer photos from iPhone to Samsung device. Download and install this iTransfer on your computer. Then follow the below steps to learn how to transfer photos from iPhone to Samsung devices with Leawo iTransfer. 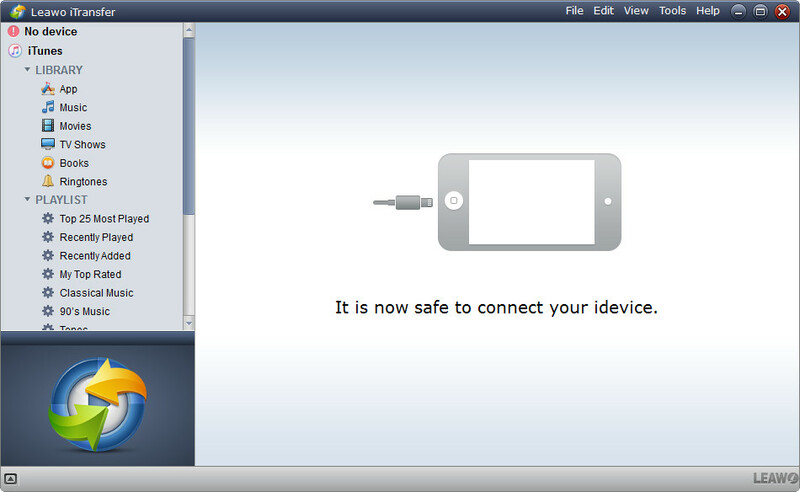 Connect iPhone to computer via USB cable. You will see iPhone library in the left sidebar. Meanwhile, connect your Samsung smartphone with computer as well via the USB cable provided by Samsung. On Leawo iTransfer, go to "iPhone > LIBRARY > Camera" or "iPhone > LIBRARY > Photos" tab to select the photos you want to transfer from iPhone to Samsung. You could choose multiple photos as you like. Right click selected photos and then choose "Transfer to > My Computer" option. On the popup "Transfer" window, choose Samsung device as output directory in the "Transfer to List" box. Or you could select another folder on your computer as output directory and after transferring, copy the photo folder to Samsung as well. After that, click the "Transfer Now" button. iTransfer would start to transfer photos from iPhone to Samsung immediately.